Birth photo sessions are always a beautiful experience. Capturing new life in photos is one of the biggest pleasures of being a photographer. Birth photography is among my favorite photography services I get to be a part of. Birth sessions are so filled with love, raw emotion, and new beginning that they simply make for incredible photos. This includes labor and delivery, skin to skin, dad holding baby for the first time, introductions to other family members (as long as it fits in the 6 hour time frame), and anything else that will capture the true emotion in the birth of your baby! 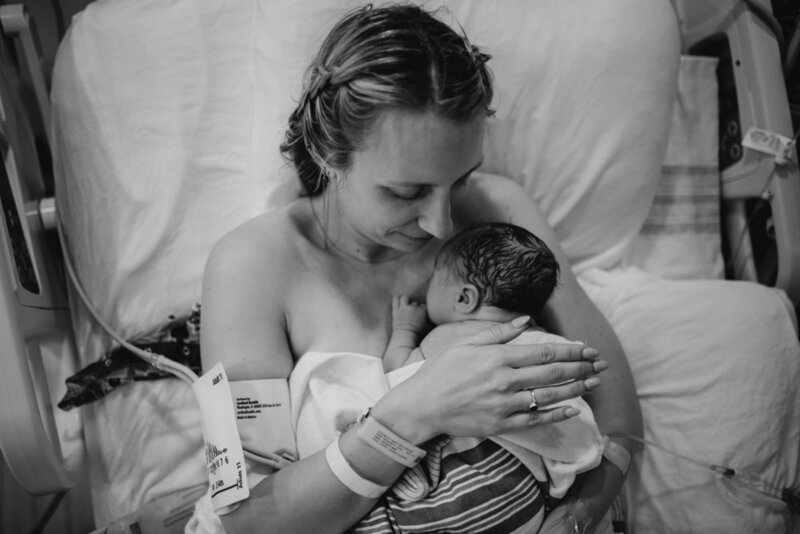 When I found out that I was pregnant with our first child, I asked my husband if we could have someone in the delivery room with us to take photos of the birth. He freaked out a little :). However as the day drew closer, we worked out that my sister (also my second shooter for weddings) would take photos from inside the room as our first child was born. We had the excited benefit of not knowing whether we were having a boy or a girl, and to this day Scott (my husband) has thanked me for having a photographer in the room. We were able to capture such beautiful moments as Scott Ford Sr. held brand new Scott Ford Jr. I quickly realized how fast everything can go and how caught up you can be in the delivery room. You miss big and little moments. If you deliver naturally, like me, you miss a lot because you are extremely focused on the pain and pushing through. I am SOOOO glad that my sister was able to be there to capture both of our children's births --which both times we didn't find out the gender, so that made it all that more exciting! I am definitely spoiled when it comes to the number of photos that I get away with taking, but if I had to save just a couple, my wedding and the birth of our kids would be the photos I would keep. So listen, even if you don't hire me for your birth photography, you reaaaally should book a professional photographer to capture those moments! You will not regret it! Birth photos usually are very unpredictable, for obvious reasons. You never know when the baby will arrive, so coordinating birth pictures can be a little difficult. Normally, I have the couple contact me (either call or text) to tell me that they are on the way to the hospital or about to leave for the hospital. I will start making preparations to go to the hospital but I will wait until I hear how far along the mother is. I usually head to the hospital when the mother is dilated 7-8cm with her first baby. Second, third, fourth, etc babies typically come much faster than the first one, so I aim to head to the hospital around 5-7cm. When I arrive, I will quietly take a few candid photos of the mother laboring... along with some sentimental, candid photos of the couple before they officially become parents. As the baby enters the world, I typically stay at an angle that will create beautiful, tasteful photos that won't make your granny gasp! (If you know what I mean! haha) I quickly capture those first breaths and first skin-to-skin interaction with mama. This moment is SO emotional, and these photos are some of my most favorite photos in the whole wide world that I have of me with my two kids. I slide around the room, quietly taking photos of the proud parents admiring their precious gift. When it comes time to weigh and measure the baby, I am right there to document! Want photos with those proud grandparents and aunties and uncles who have been eagerly waiting out in the waiting room? Bring them on in, and we will take some photos! Not your cup of tea to have a large crowd in the room? Totally fine! We can just focus on the new little one and his/her parents! If you are ready to discuss the possibility of me capturing this exciting event for you, please reach out to me by clicking below!